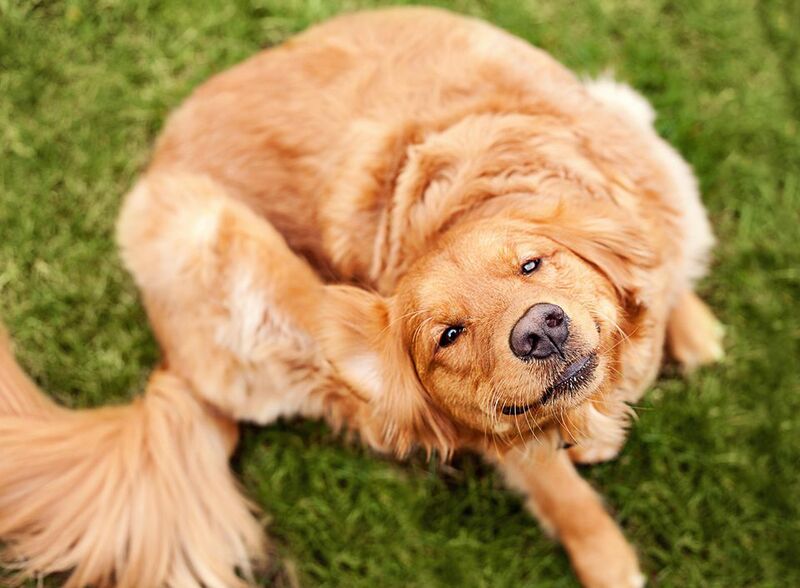 Are you searching for a cheap and natural flea repellent for your dog or cat? If you want to keep fleas off of your pet and out of your home, but you aren't keen on using chemical-based flea collars and sprays, vinegar is another option to consider. Vinegar is fragrance-free and environmentally friendly. Because it is natural and chemical free, it is both pet and child safe, and it soothes your pet's flea bites. Like many pests, fleas hate the smell and taste of vinegar, so they'll do their best to avoid it. Use this information to your advantage by making a vinegar-based flea spray to use on your pet. To make your homemade flea spray, you'll need white vinegar or apple cider vinegar. Either is fine, though some people feel their pet prefers the scent of apple cider vinegar. Just know that cats may not stand for any vinegar being sprayed or wiped on them. Creating your flea spray is as simple as diluting the vinegar with water. Some people recommend mixing equal parts vinegar and water. Others recommend mixing one part vinegar with three parts water. Experiment with both formulas to see which works best for you. The more concentrated formula (1:1) will have more flea-repelling power. If you find your pet is resistant to the smell, start with the more diluted formula (1:3), and step up once they're used to it. Before applying your homemade flea repellent, be sure to check your pet for any open cuts or sores. Applying vinegar to broken skin stings, so you want to take care not to apply it to any wounds. Be careful not to spray it in your pet's eyes either. If you want your pet to accept your new form of flea repellent, you don't want them to associate it with any discomfort. To apply the vinegar solution, use a spray bottle, or apply it with a cloth that has been dipped in the solution. Cats may prefer the rub-down method, especially if you've previously used a spray bottle for training and discipline purposes. If you are using a spray bottle, get a clean spray bottle that has not been previously used for other chemicals. Vinegar is an acid, and it could react with chemical traces that remain in a used spray bottle. Mix the vinegar and water in a spray bottle, and apply the mixture directly to your pet's coat. Finish by working it in with your hands, Allow the solution to dry; do not wash it off. After 20 minutes, you can use a flea comb to brush out any fleas. Repeat every couple days to maintain the effectiveness. You can also spray bedding, carpets, and furnishings as a preventative measure.